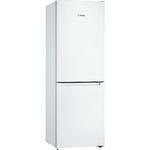 The KGN33NW3AG is a spacious fridge freezer, ideal for families. With a range of modern features, this appliance won’t disappoint. MultiAirflow System: The fan-assisted system keeps the temperature consistent throughout the compartments and reduces cooling times. This helps your food stay fresh and full of flavour for longer. NoFrost: The KGN33NW3AG fridge freezer is completely frost free, so you’ll never have to defrost the appliance manually. SuperFreezing: This function stops your frozen food from defrosting when you add new food to the freezer. It also helps the new food to freeze faster. The appliance will return to its normal operation once the required temperature is reached, so no energy is wasted. This Bosch fridge freezer has an A++ energy efficiency rating, so you can do your bit for the environment while saving money. The freezer has been awarded a four-star rating, so it can keep your food fresh for up to 12 months. In the event of a power cut, the appliance will ensure your food stays cold for up to 19 hours. 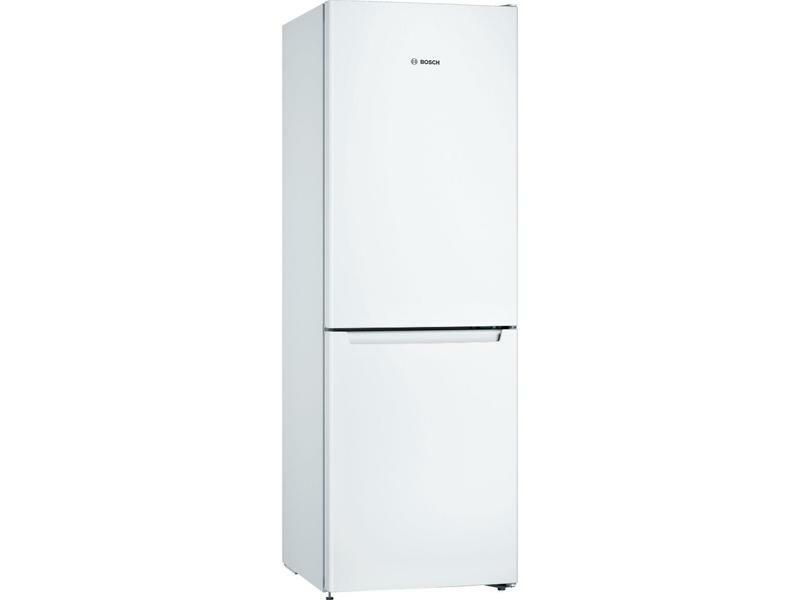 The KGN33NW3AG comes in a white finish with reversible doors for easy installation. There’s even a handy LED light inside the fridge compartment. The LED bulb uses less energy than a conventional fridge light and is made to last for the lifetime of the appliance. This Bosch fridge freezer has amazing, innovative features to keep your food fresher for longer. 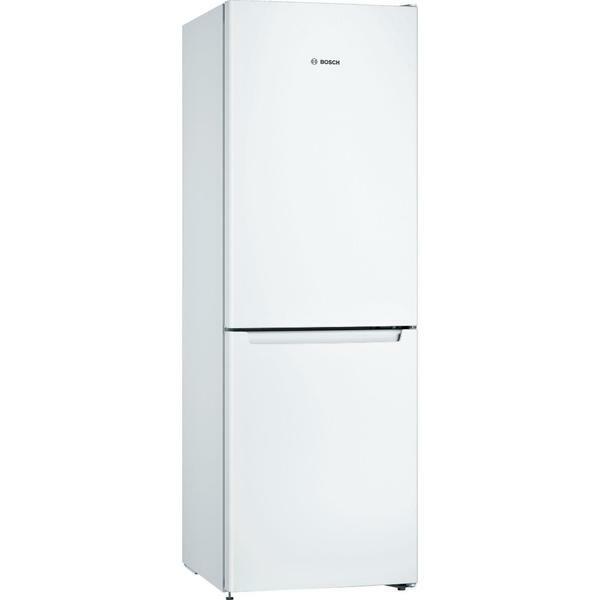 If you’re looking for a spacious fridge freezer add the KGN33NW3AG to your basket today.